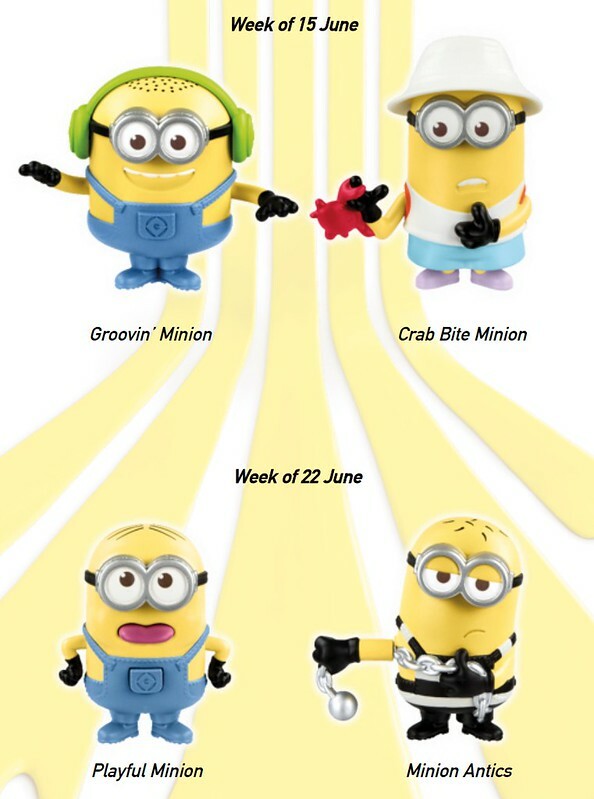 The Despicable Me Minions are establishing dominion over McDonald’s Singapore this June, and they’re starting with the Soft Serve machine! 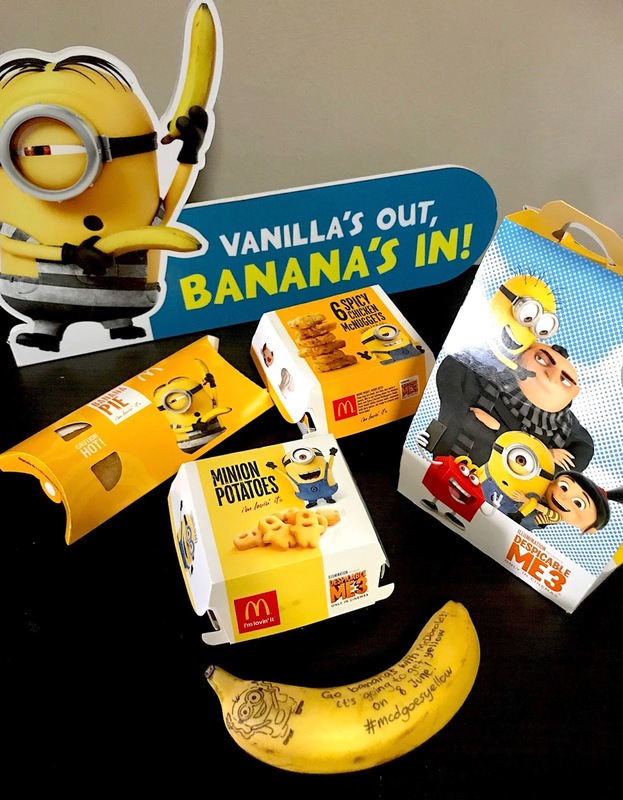 The mischievous Minions will be switching out McDonald’s famed Vanilla Soft Serve with a creamy Banana Soft Serve. 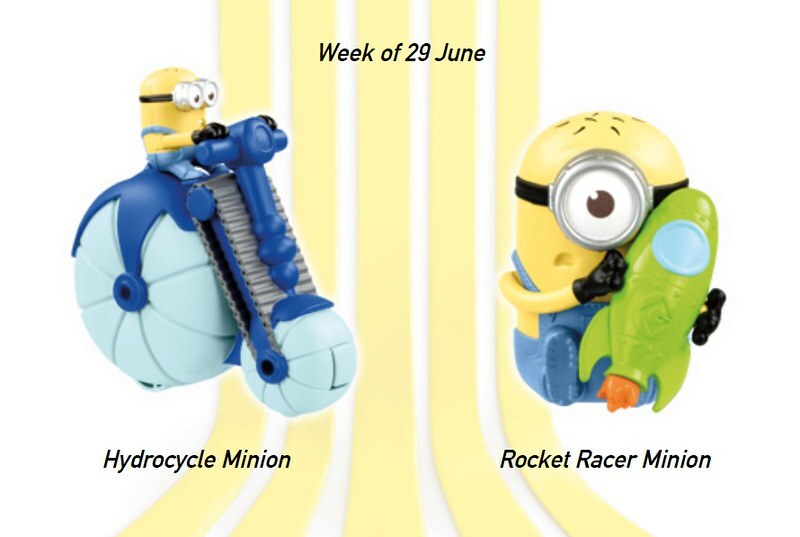 The Banana Cone (bottom left) is really cute in Minion colours blue and yellow! 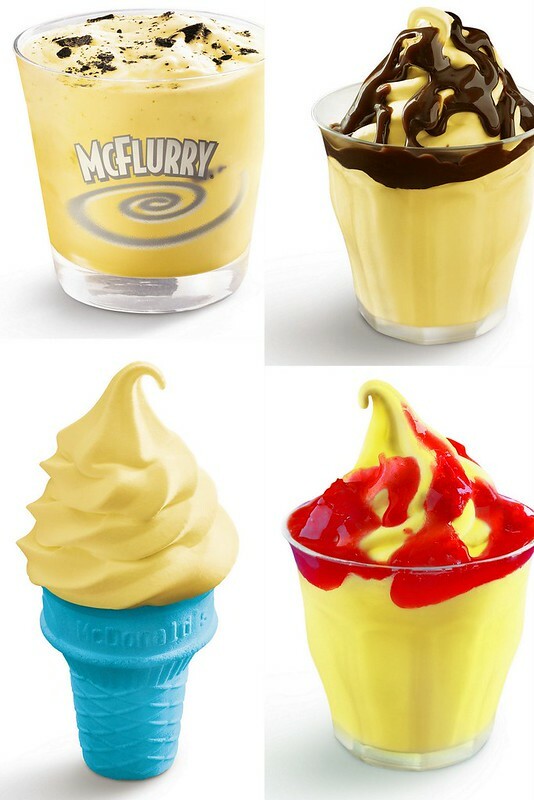 The Banana Hot Fudge or Strawberry Sundae (top and bottom right) are from S$1.90 while the Banana Oreo McFlurry (top left) is available from S$2.90. 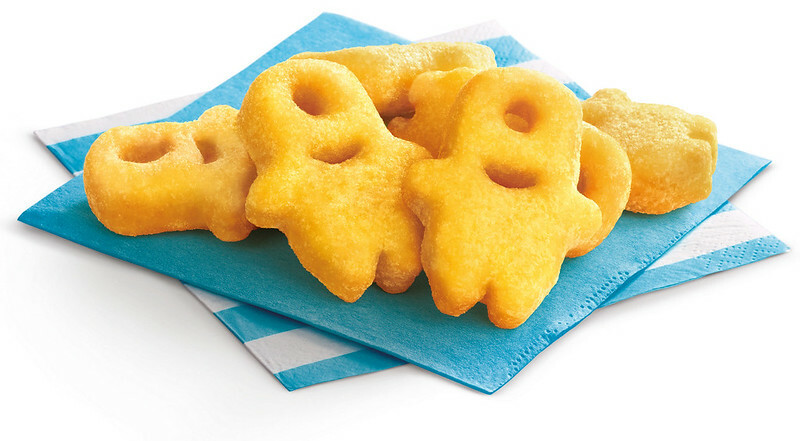 The Minions have also cut potatoes into Minion-shaped potato bites. They kinda taste like mashed potatoes in a shell. The Minion Potatoes available from $2. What we liked better are the Banana Pies (S$1.20) - they still have a hint of vanilla! 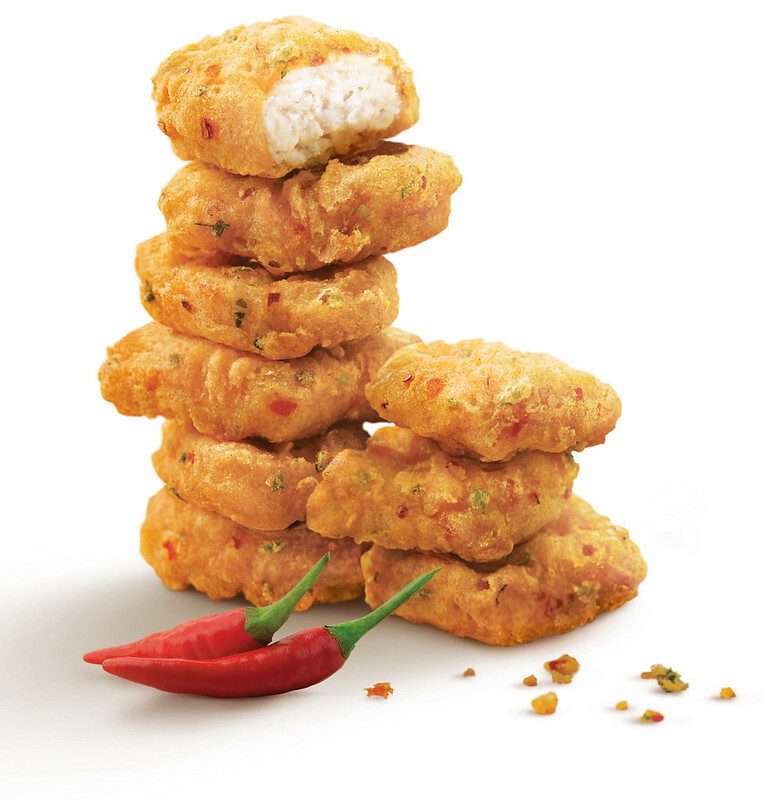 What's really good news is that the Spicy Chicken McNuggets (S$4.75) are back! I so wish they would put these on the permanent menu - they are the best thing ever, outdoing even McSpicy! And of course we have the coveted Happy Meal toys. 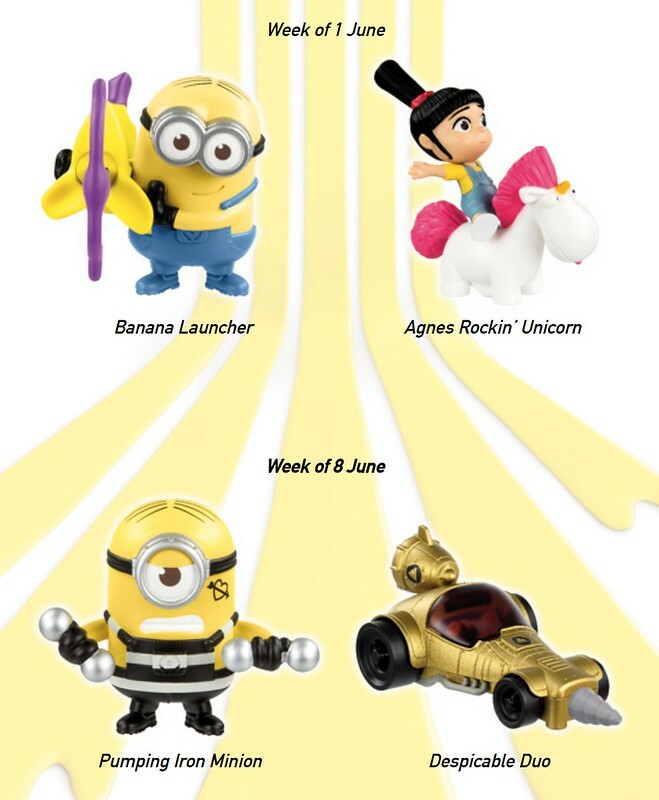 McDonald’s has launched a line-up of 10 exclusive Despicable Me 3 toys. Collect the free Despicable Me 3 toy with the purchase of any Happy Meal on a while stocks last basis. I like the final week's ones the best. Many thanks to McDonald's for the fun kit. Product photos are from McDonald's.